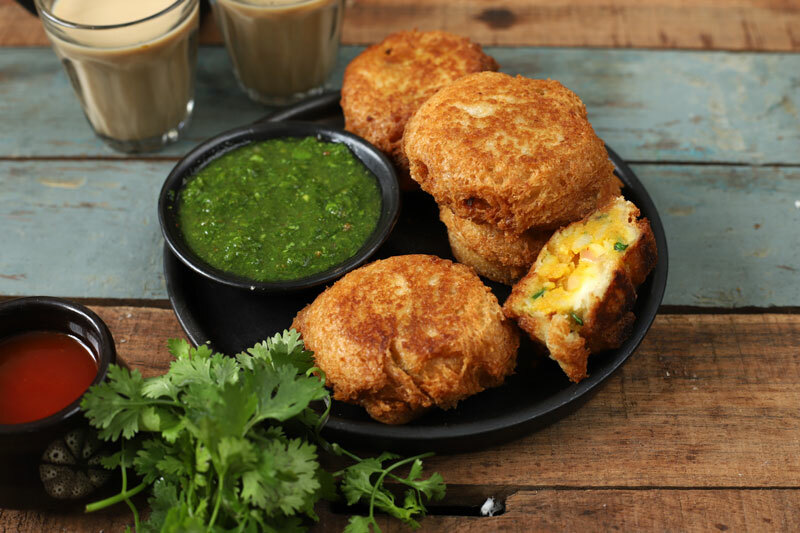 Bread Roll is a crispy Indian breakfast or snack served with chutney and chai. A deep-fried roll made of bread and stuffed with potatoes sounds just perfect for breakfast. 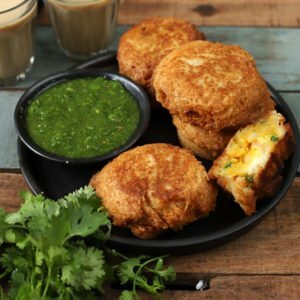 This easy and yummy bread roll recipe is a popular Indian breakfast that can be made just about any time one feels like digging into a tasty bite. 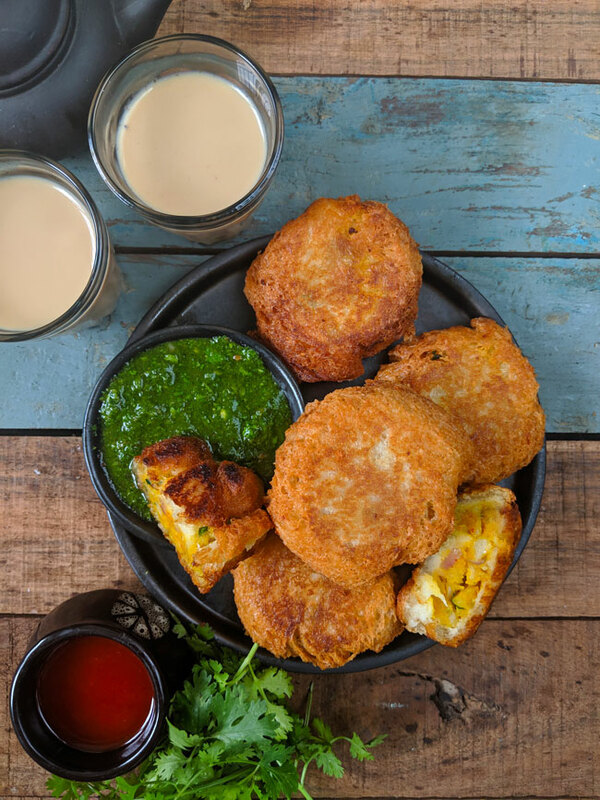 Delicious spiced and seasoned potatoes in a fried crunchy casing served with a flavorsome green chutney on the side sound tantalizing, don’t they? The potato bread roll is the best way to transform a regular loaf of bread into a fulfilling and hearty breakfast for the family. If you’re someone who’s here for an indulgent breakfast recipe, then this one is a great way to use up leftovers and give them a delicious makeover. Always use fresh bread slices to make the Indian style potato roll. Avoid using stale bread as it might break while shaping the roll. The white bread slices are perfect to make street style bread roll. Dip the bread slice in water only for a second or so to moisten it. Then gently squeeze it get rid of water but make sure not to break the bread slice. Make sure potato filling is nicely mashed and smooth in texture else it will ooze out of the bread covering. Potato Rolls can be either deep-fried or shallow fried. 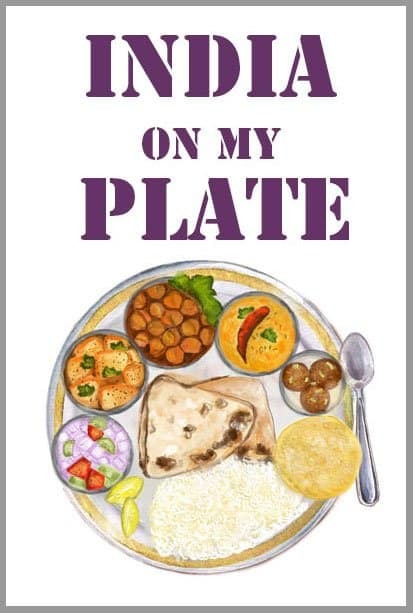 But make sure never fry aloo roll on high heat. It is best to keep gas flame between medium to high so that aloo rolls are crisp from outside and fully cooked from inside. The secret to making crunchy bread roll is to keep them in the fridge (not freezer) for 15 – 30 minutes before frying. This step always yields crisp aloo rolls without fail. Can We Bake The Bread Roll? Yes, the bread roll can be baked as well. Preheat oven at 180 degrees Celcius, brush the shaped potato rolls with oil and bake in the oven for 15 – 20 minutes or until the outer covering is crisp and golden in color. Can We Make Potato Roll In Advance? Yes, indeed. Few hours before the serving time, shape the cutlet, arrange them on a greased plate or baking tray. Cover the dish with a muslin cloth and keep in the fridge until ready to fry. Most of the times for parties I prepare them a few hours in advance to avoid any last minute hassle. The rolls can be sealed in ziplock bags and frozen to be fried when required. However, potatoes don’t keep well for too long so don’t freeze them for more than three days. 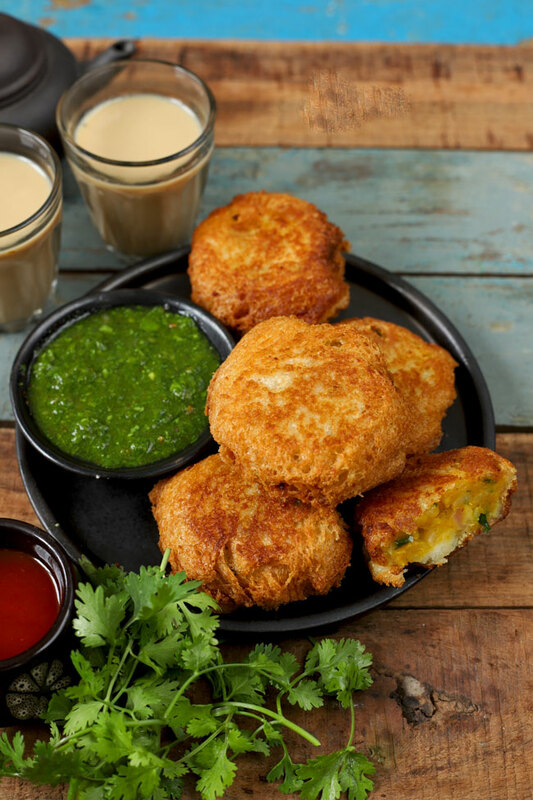 Bread Roll is a crispy Indian breakfast or snack made with bread slices and potato. Learn how to make Indian style potato bread roll in a few simple steps. Combine boiled potato, onion and other ingredients for the filling in a mixing bowl. Mash the potatoes and mix all the ingredients until no lumps remain in the filling mixture. Taste and adjust the seasoning accordingly. Set aside till required. Take room temperature water in a shallow plate or bowl. Remove the edges of the bread slices. Now, take one bread slice, dip it in water for a second or just to moisten. Then, squeeze it nicely with the pressure of your palms. Place a tablespoon of stuffing in the center of the bread slice. Carefully, bring the edges of the bread slice to the center and gently seal the potato filling with the bread. Shape the cutlet into a round. Similarly, prepare rest of the potato rolls. To fry the bread roll, heat oil in a frying pan. Test the temperature of the oil by dropping a small piece of bread. If it comes to the top oil is ready for frying the aloo roll. Gently slide shaped bread roll from the edges into the frying pan. Fry over medium heat till crisp and golden. Transfer to a plate lined with a paper towel. 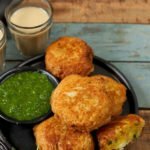 Serve bread roll piping hot with mint coriander chutney and ketchup. Love you content+recipes. We are an indochinese restaurant with 24 locations around the US and would love to talk with you about doing a collab. Looking forward to hearing back from you! Amazing recipe! easy way to make..